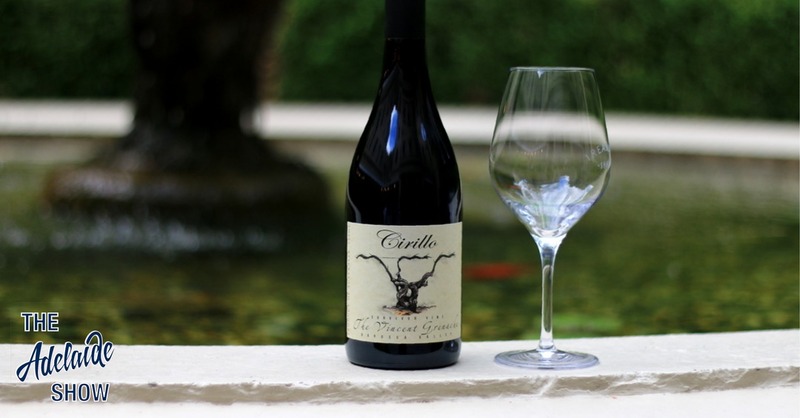 We had the 2015 Cirillo Estate Vincent Grenache as our South Australian Drink Of The Week, thanks to Anna Thomas from Treasury 1860, who was our host for episode 236 of The Adelaide Show Podcast. This is one of wines Anna is using in her Adelaide Fringe show, How To Drink Wine Like A Wanker. She says the Cirillo team makes some beautiful wines and although this one is beautiful it is their entry level Grenache! Steve’s first impression of this wine is that its medium body is like someone walking into the original Treasury building in the late 1800s with a modest collection of gold to deposit. However, he says the flavours! He says if you picture the Chesterfield couches around the walls of the Treasury rooms, imagine kneeling down next to one and thrusting your tongue deep into one of its corners, where somebody had spilled some Ribena and little shavings of tobacco from a gentleman’s pouch. He says it is like a subtle memory of sweetness from the Ribena that has passed, with hints of leather and tobacco. Anna agreed with the “modest” description, noting that Grenache is a modest grape and people always override it and use it in a blend. She says, it is now becoming more popular but in the past they’ve either been huge with high alcohol, or in a blend. This one, she says, is very fruity up front but then goes quite dry and disappears. You can hear our live tasting of the 2015 Cirillo Estate Vincent Grenache in full, by downloading episode 236 of The Adelaide Show Podcast in a podcast app, or by using the player, below.